Rain barrels are great at capturing rainwater. However, if not maintained properly, your water conservation efforts can come back to bite you! One of the most common problems with rain barrels is mosquito breeding. 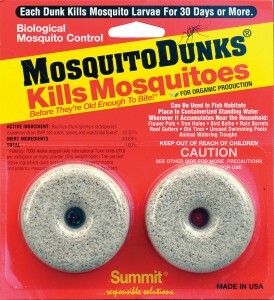 Did you know thousands of mosquitoes can emerge from standing water in a rain barrel every week? Here are a few tips to help you keep those pesky, disease-transmitting insects far away from your rain barrel. Use a fine mesh, wire screen to keep mosquitoes from laying their eggs. Also, don’t forget to cover the downspout that connects to the roof gutter. Mosquitoes can readily enter the downspout into your barrel. Yes, they’re that sneaky! You can purchase the screens with the barrels or separately at hardware/gardening stores. Mosquito-proof screen is a very fine mesh, usually 1/16 of an inch. Your plants are thirsty! Use up all your water and empty out your barrel once a week to keep water from becoming stagnant. Even with overflow valves and spigots, some water can be left at the bottom of the barrel. Make sure to empty the barrel completely at least once a month. Screening all openings and closing the valve will reduce mosquito breeding. Some rain barrels have decorative tops. 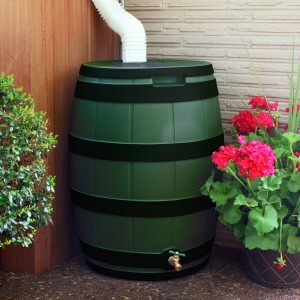 Make sure to keep the top of the rain barrel clear of any standing water. 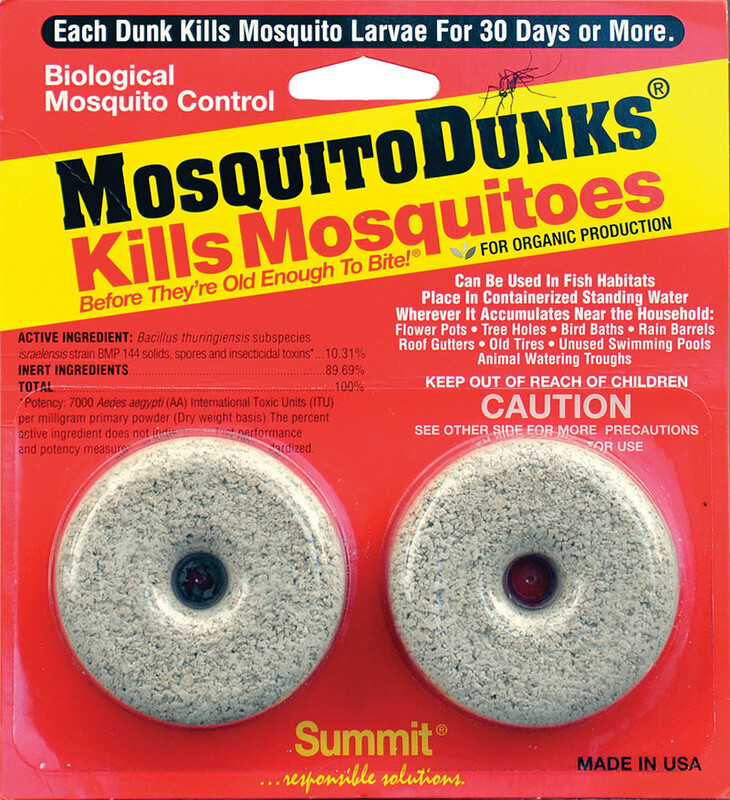 These larvicides specially target mosquito larvae and do not cause harm to pets, fish or humans (when used in accordance to the label instructions).